For the traditional effect of charcoal with a little more control (and a little less mess), this is the pencil to choose. 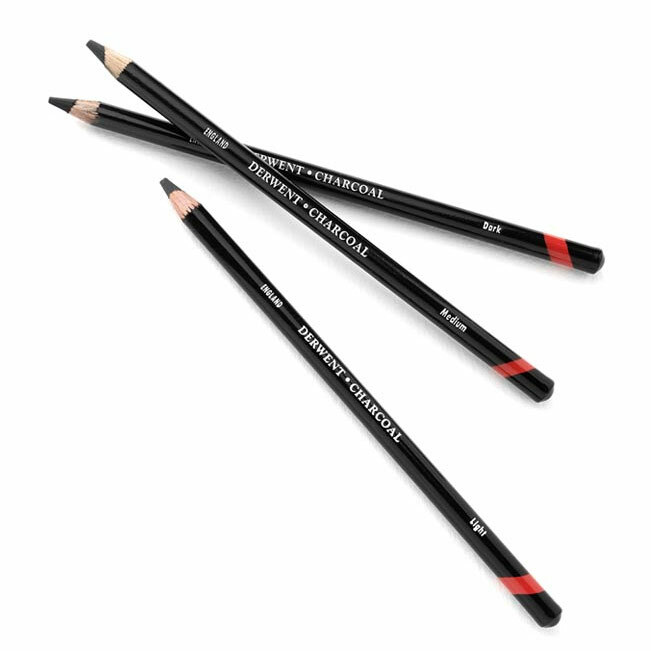 Natural charcoal particles are mixed with the finest clays to produce a rich, smoothly textured pencil with all the beauty and character of traditional charcoal in a convenient, easy to use form. Charcoal Pencils are available in light, medium and dark grades that can be blended together to create powerful and imaginative charcoal drawings. Best thing is no mess as you would get from other charcoal products.